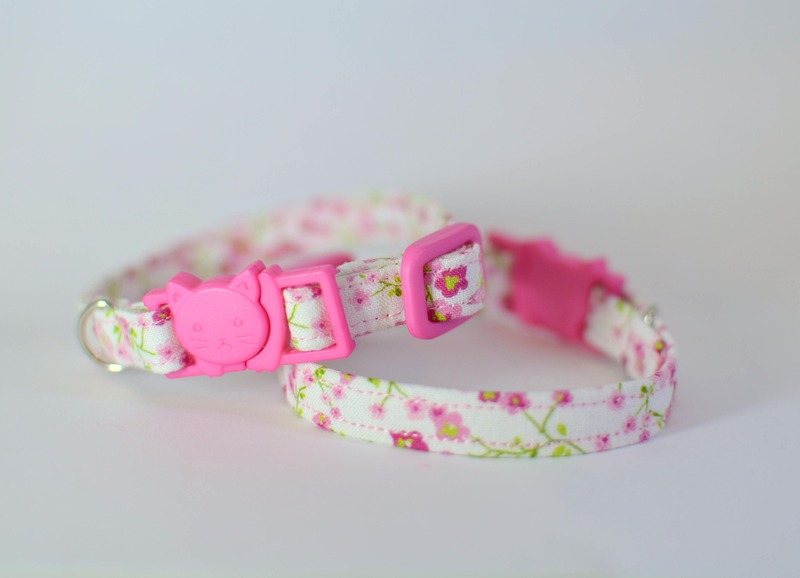 Pink cat and kitten collars are designed from strong, yet lightweight and soft cotton fabric. 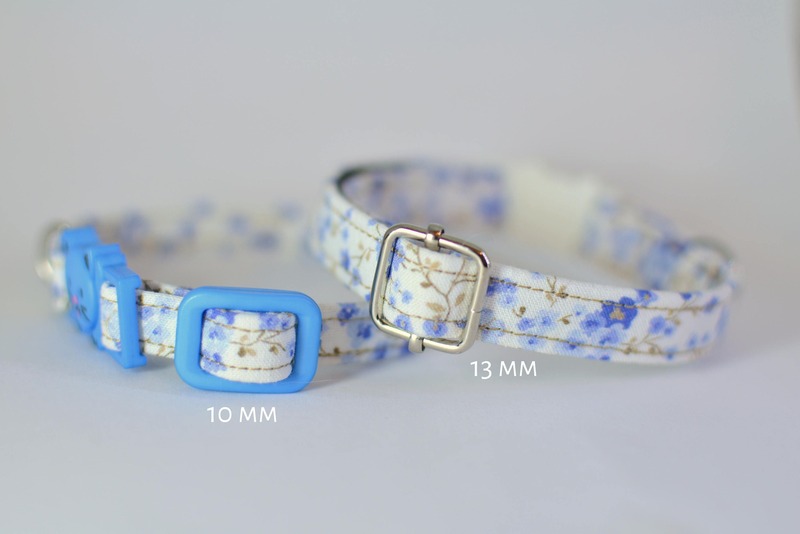 Each collar is fitted with a D-ring, a small bell. 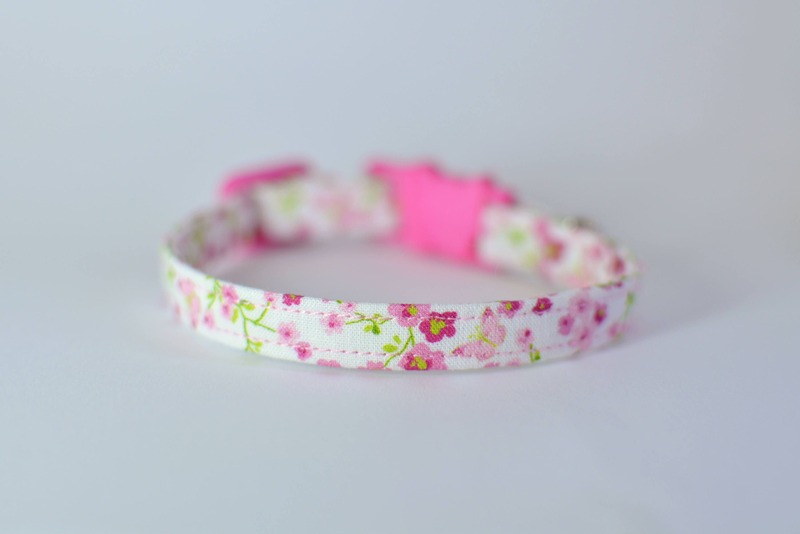 As this is a handmade collar, the placement of flowers will vary from collar to collar, thus making each one unique in it's finished form. 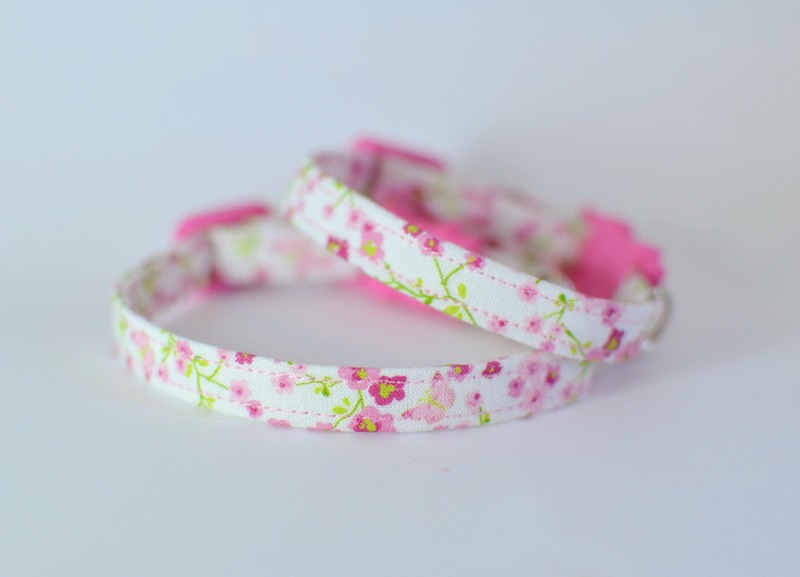 Breakaway buckle in white or pink. This size should fit kittens from 4 months, and should last till it's about 12 months old. 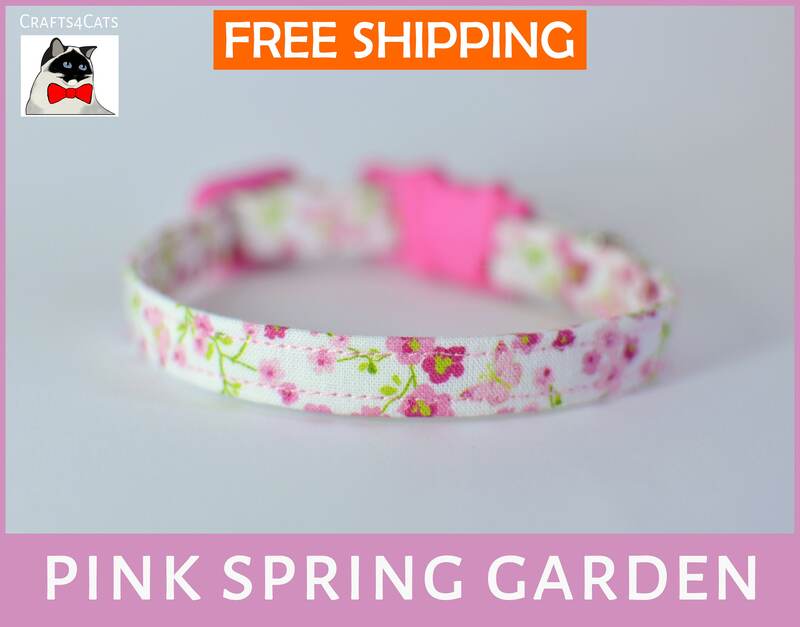 If you cat is a small breed, than most likely this collar will last you much longer over 16 months or more. We hope that you will like your collar and are looking forward to seeing your pet photos!